This article was written on 01 Dec 2015, and is filed under S. Africa - Patrick. 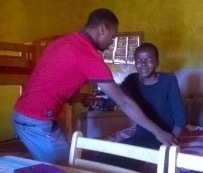 Electricity…energy…power is coming to the Glory Power farm for orphans in Magona, South Africa! 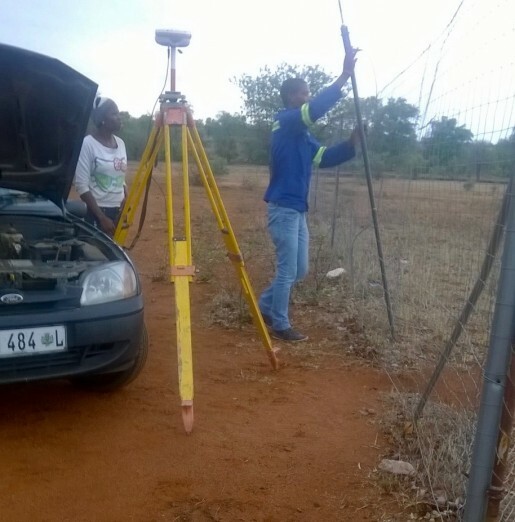 Above, measurements are being made by the local power company to install a transformer to increase farming capabilities. The transformer will enhance the water pump for the well that Glory Power installed several years ago. 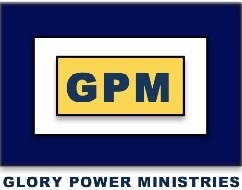 This will enable Glory Power Center (GPC) in Magona to utilize 5.5 acres that has been made available to them. This will multiply Glory Power’s capacity to feed more orphans. Currently over 1 acre is being farmed. With a more powerful pump, irrigation will increase fourfold and provide sustainable financial independence, thus allowing the GPC in Magona to be self-sufficient. 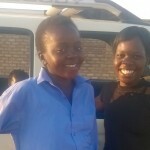 In addition to the farm produce feeding orphans and destitute, GPC plans to sell the extra produce in local markets. 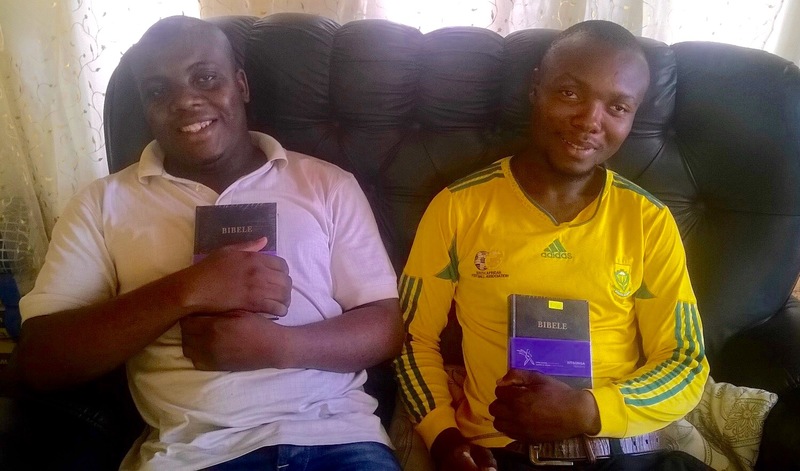 Last month we wrote about Glory Power Ministries providing Bibles to Magona. 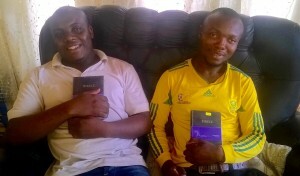 Pastor Patrick’s brother, Matimber, and his friend, Jeffery, were among the recipients of the Bibles. 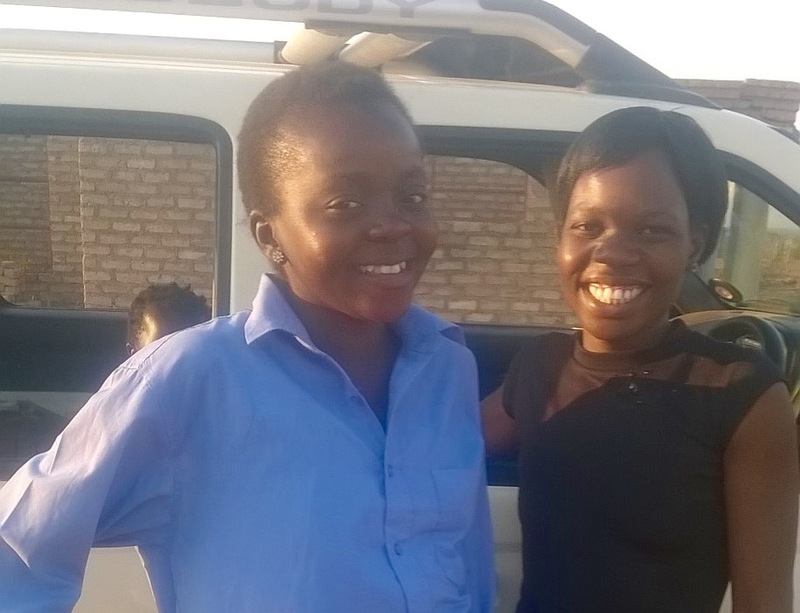 Matimber has been helping Pastor Pat and feels called to be a minister of the gospel. Pictured here they are expressing their gratitude for your generosity. God is adding to the church. Each week more and more are coming to hear the Word of God preached and are being released from the power of sin and darkness. 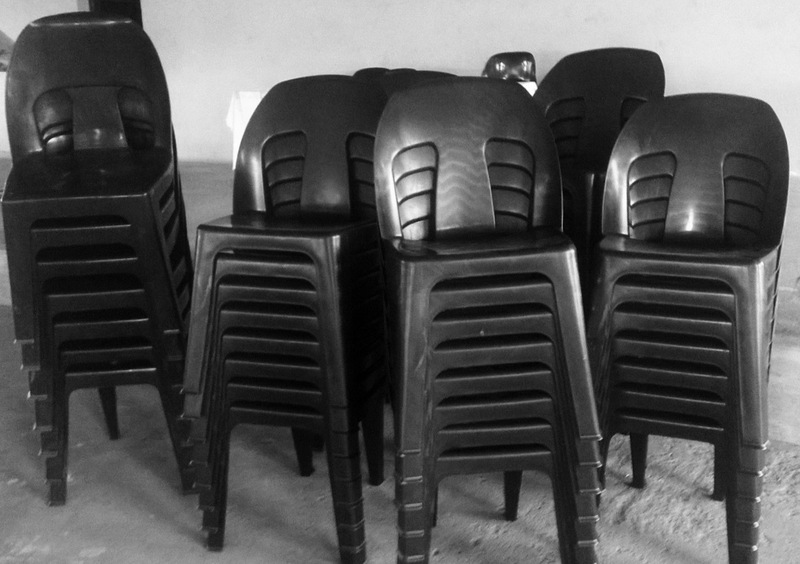 The Glory Power Center in Magona is growing so much that additional chairs had to be purchased. TO CONTRIBUTE TO THE GROWTH AND EXPANSION IN MAGONA CLICK HERE.